So it’s Mount-A-Palooza in Wizard101 and it’s their biggest mount sale yet! 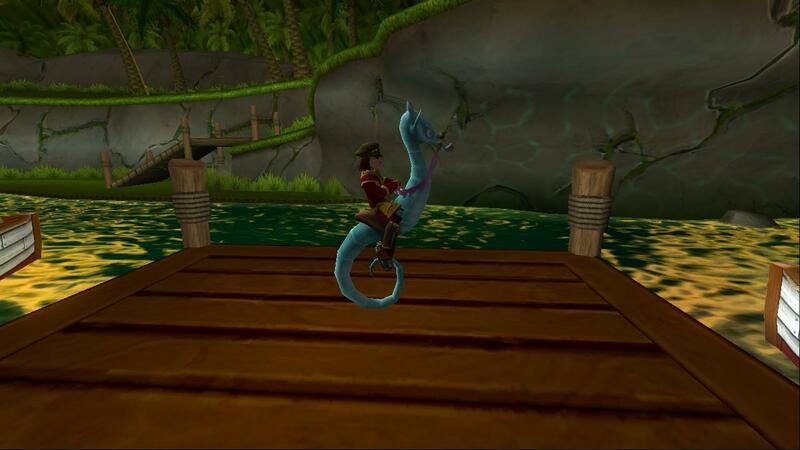 It last through tomorrow (Sunday, April 19th) and there are some great deals – All permanent mounts are 5,000 crowns or less, there’s a great new Jeweled Scarab mount, and some old mounts have come back… It’s a lot of fun, and Ditto’s getting in on the fun with the retired ‘Spritely Seahorse’ mount! I’ve got codes to give away this weekend, but how am I going to do it? Well, just email Ditto at dittocontest@gmail.com with the subject ‘Seahorse’ and send me your wizard name, and I’ll pick random winners throughout the weekend and announce them here between now and Sunday night! Get your very own shiny Spritely Seahorse!! Good Luck everyone, and have fun!!! This entry was posted on April 18, 2015 by dittowizard. It was filed under Contest, Wizard 101 .